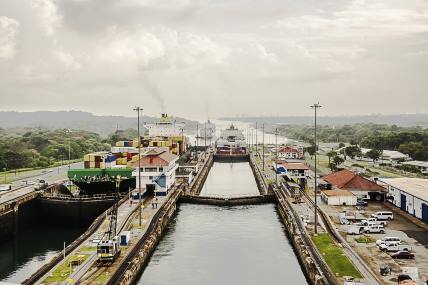 The Panama Canal is one of the most fascinating places in the world, has a length of approximately 80 kilometers. Between 13,000 and 14,000 ships use the Canal yearly, approximately 9,000 workers, working 24 hours a day, 365 days a year, offering transit service to ships of all nations. How to get there: A taxi will cost $5-6. Or take a bus along Via Espania to the Albrook bus terminal. From there take a bus to Gamboa that will drop you at “Las Esclusas”. Total bus cost – 75 cents. Also ask about our shuttle service. In Panama, your ecotour can actually begin right on the outskirts of the city, where there is a large tropical forest reserve called Parque Metropolitano. 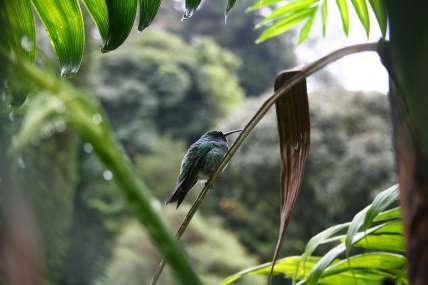 Along the five trails of this convenient park can be seen a diversity of tropical wildlife, including toucans, parakeets, orioles, trogons, sloths, agoutis and Titi monkeys. Visitors can also arrange a guided tour with a ranger at the visitor’s center. How to get there: Take a taxi. It’s not far and not expensive. Casco Viejo is an area of colonial grandeur, striking architecture, peeling paint and decrepit balconies. Through the stretched streets, plazas and public parks you’ll see France Plaza, Las Bovedas and San Jose Church with its wonderful altar (all made of gold), the Flat Arc Cathedral Church and more. You can also visit the excellent Panama Canal museum where you can learn all about one of the world’s greatest engineering marvels, the Panama Canal. How to get there: Take a taxi. Or take a bus to calle 12. Get out when you see the park on the left hand side. On the right is Coca Cola Cafe. Take the street to the left of the cafe. 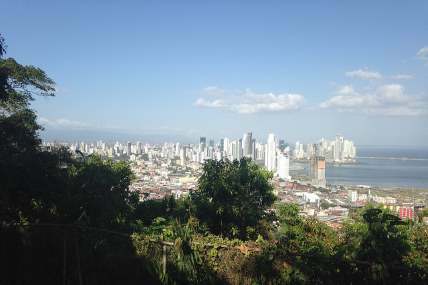 From the top Cerro Ancon (Ancon Hill) you can enjoy a impressive view of Casco Viejo, Panama Bay, the modern city skyline, the pacific ocenan the entrance to Panama Canal, the bridge of Americas, Miraflores Locks, and the townsite of Balboa. Mi Pueblito is a charming re-creation of a typical Panamanian town, near the base of Cerro Ancon. How to get there: Take a taxi to Mi Pueblito and walk to the top of Cerro Ancon. 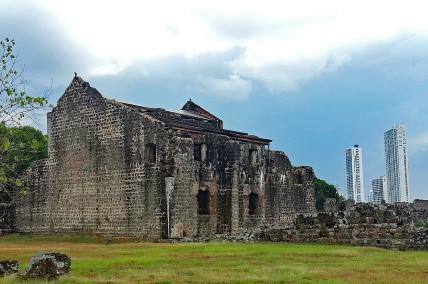 Panama Viejo is the remaining part of the old Panama City and former capital of the country. It is located in the suburbs of the modern city. 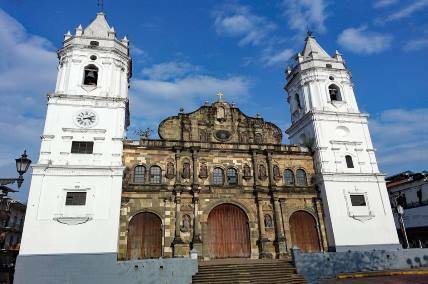 Together with the historical district of Panama, it forms a World Heritage Site. The city was founded 15 August 1519 by Peter Arias and other 100 inhabitants; at the time, it was the first permanent settlement in the Pacific Ocean, substituting the two cities of Santa María la Antiga del Darién and Acla. Two years later, in 1521, the city was promoted to the status of “city” by a royal decree and was given a coat of arms by Charles V of Spain. The Amador Causeway itself connects three small islands, Noas, Perico and Flamenco, with the mainland. Visited by both foreigners and locals alike, the Causeway has enormous tourist potential. 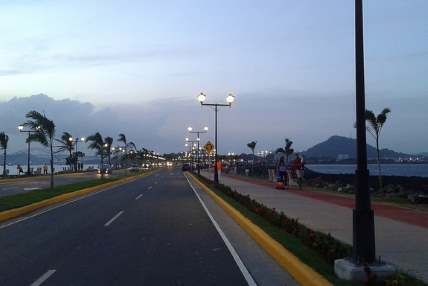 The Causeway is located at the southeastern most tip of the Panama canal, with spectacular views of Panama City and the Bridge of the Americas. While there, visitors can observe the numerous vessels that enter or depart the Panama Canal throughout the day, passing directly beneath the Bridge of the Americas. How to get there: Take a taxi for $5-6. Our shuttle bus can also take you here. Taboga Island, Panama, also known as the “Island of Flowers,” is a volcanic island in the Gulf of Panama. It is a tourist destination, about 20 kilometers from Panama City, and is about 4 km long. The island is famous for its beautiful beaches, crystal clear waters, soft sands and a wildlife refuge. The already inhabited island was “discovered” by Europeans in 1515 and was originally named Isla San Pedro by the Spanish explorer, Vasco Núñez de Balboa. Its current name derives from an Indian word, aboga (“many fish”). The small town of Taboga was founded in 1524 by Padre Hernando de Luque, dean of the Panama cathedral. In 1998, a hoard was found on the island, containing more than 1000 silver coins dating to the 1600s, possibly treasure buried by one of the pirates who frequented the area at that time. Soberanía National Park is a national park in Panama near the banks of the Panama Canal in the provinces of Panamá and Colón, some 25 km from Panama City. The Chagres River runs through the park. Established as a national park in 1980, the park covers 55,000 acres. The park is popular with birdwatchers due to the abundance of bird species in the park, including motmots, toucans, trogons, flycatchers, antbirds, woodpeckers, tanagers and hawks. Among the rarer bird species in the park are yellow-eared toucanets, crimson-bellied woodpeckers, sirystes and rarely seen harpy eagles. Mammals in the park include wihite-faced capuchin monkeys, mantled howler monkeys, Geoffroy’s tamarins, two-toed sloths, three-toed sloths, anteaters, coatis and agoutis. Green iguanas are also found in the park. This is one of the most accesible tropical fores in the world. The Camino de Cruzes (Trail), runs through the park, it’s possible to hike this trail for about 6 hours to the Changres River. There are many trails on the park, one major goes to a Canopy Tour and the one for best viewing birdlife is Pipeline Road. Panama has some of the most easily accessed forests anywhere in the tropics. The Canopy Tower is located on top of Semaphore Hill, in a well preserved semi deciduous tall forest in the heart of Soberanía National Park. It is at an altitude of 900 feet above sea level, and from its roof you can see the Pacific entrance to the Panama Canal and the skyline of Panama City, just 30 minutes away. 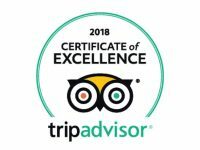 Its privileged position makes ideal as a base from which to start exploring the forests of central Panama, as well as the Canal and other historical attractions. At the base of the road up Semaphore Hill is Plantation Road, a good, easy graded dirt road where you can walk through more than three miles of mature forest. A ten minute drive takes you to the gate of the famous Pipeline Road which runs for 11 miles through wetter forests in the heart of Soberanía National Park. The seafood market is located at the entrance to Casco Viejo, just off of Balboa Avenue. The hovering vultures will help lead the way if your nose doesn’t. Though you can really smell the fish from outside of the building, you’ll be pleasantly surprised that inside the market, it doesn’t smell bad at all. There’s a hint of bleach in the air, but no fishy smell. Inside the market there are dozens of vendors each selling their catch. Corvina (sea bass), pargo (red snapper), and tuna seemed to be the most popular. If you are a fan of ceviche(a delicious pickled fish medley), then the market is the place to get your fill. You can buy it by the cup for about $1, or buy a larger quantity to take home with you. A neat feature of the market is that you can buy seafood from one of the vendors and then take it to the restaurant upstairs and have them cook it for you. Even if you are not a big fan of seafood, the market is a great place to go to get an idea of the variety of seafood that can be found off Panama’s two coasts. Albrook Mall is a large indoor mall with air conditioning and has a movie theater, food court and arcade. This is THE budget shopping mall. Albrook mall is located in Panama City near Albrook Airport and the Grand Terminal (the central bus terminal). Central Avenue (Avenida Central) is a pedestrian mall in Panama City that is six blocks long and is lined with shops and restaurants. If you’re after bargains and Panamanian street life then this is the place. The Los Pueblos shopping complex is a strip mall, so you walk outside between the stores. It is located in Panama City near the Tocumen International Airport. It’s cheap out here but most shops are represented in Albrook as well. Multicentro Mall is a large indoor air-conditioned mall located in the Punta Paitilla district, which is one of the wealthiest areas of Panama City. It is the largest shopping mall in Central America and has a movie theater, casino, arcade, internet cafe, library and many shops. The mall is connected to the Radisson Decapolis Hotel. Multiplaza Pacific Mall is a large indoor air-conditioned mall located in the Punta Pacífica district in Panama City. This is the “upmarket” mall of Panama and is huge as well. You’ll find everything here including cinemas and food courts. Expect prices a little more like home. Panama has a reputation for outstanding jockeys and thoroughbred horses. Therefore it is not surprising that the President Remon Racetrack should be a popular sporting venue for Panamanians and visitors. The viewing stands are comfortable and good restaurants and bars make it a pleasant experience. A visit to the parade ring before each race to choose the horse you fancy will generate even more excitement in the race. Next to the grandstand is a separate enclosure full of bars and restaurants where the locals gather with their cars. You won’t be able to view the race as well but there’s plenty of other things to see. The racetrack has been called the “The Cradle of the Best Jockeys of the World”, due to the many world-famous jockeys produced here, the most famous being Lafitt Pincay Jr. who at the time of his retirement, on April, 29, 2003,totaled 9,530 wins. Horse races at the Remon Race Track take place on Thursdays, Saturdays and Sundays. On Thursdays they start at 5:00 p.m. and on Saturdays and Sundays they begin at 2:00 p.m. Closing time depends on the number of scheduled races. Anthropology museum, housed in a building built in 1912. Part of the museum is dedicated to the Barriles culture, belived to be Panamas earliest civilization. Stone figueres and statues a gold room with gold figures of animals, gold-armor plates, ceramics, jewelry, beast plates, a crown and other items. Huacas, ceremonial treasures buried with important people. And a arge spider made of gold and copper. The Contemporary Art museum, consisting of Panama’s best-known and emerging modern artists, and some from other parts of Latin America. This tiny museum contains reigious relics dating from the earliest days of the Spanish-colonial era. This small musum is dedicated to the history of Panama. It contains mementos from various periods in Panama’s history. Is a small museum dedicated to the congress Simon Bolivar called to try to create a union of Latin American republics. It has a replica of Bolivar’s jewel-encrusted sword. This stone house is the oldest in Casco Viejo and one of the oldest in Panama. It was originally the home of a Spanish pearl merchant, and then became a church. It contains rare maps, photos, ilustrations and house and neighborhoos history. It hosts jazz andfolkloric concerts and other cultural events. Natural Scinces Museum, consists of four rooms, containing some stuffed and mounted animals and geological specimens. Also have in display some fossillized bones of a 50,000 year old sloth (estimated to have been four meters long). It have a geology and paleontology room and a snake exhibit. This museum has a rotating exhibits of arts and crafts for sale. It also have an interesting collection of Panamanian commemoratve coins, including a fist size coin and a small gold one, some of them dating from 1904. It’s in alovely house with marble staircases, ornate wrought-iron fixtures and several types of tile floors. This museum has relics form the ruins of Panama la Vieja. It’s located one kilometer before the ruins. It includes indegeous artifacts from a hundred years before the Spanish conquest. It also includes a skeleton of a woman whose grave include the skulls of nine males. Also items forom Spanish colonial days and a model of the city before the Morgan the pirate set the city on fire.